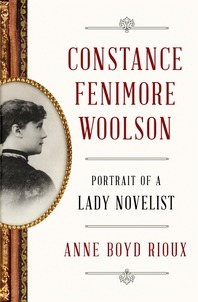 Uncovering new sources, Anne Boyd Rioux evokes Woolson’s dramatic life. She was a grand-niece of James Fenimore Cooper and was born in New Hampshire, but her family’s ill fortunes drove them west to Cleveland. Raised to be a conventional woman, Woolson was nonetheless thrust by her father’s death into the role of breadwinner, and yet, as a writer, she reached for critical as much as monetary reward. Known for her powerfully realistic and empathetic portraits of post Civil–War American life, Woolson created compelling and subtle portrayals of the rural Midwest, Reconstruction-era South, and the formerly Spanish Florida, to which she traveled with her invalid mother. After her mother’s death, Woolson, with help from her sister, moved to Europe where expenses were lower, living mostly in England and Italy and spending several months in Egypt. While abroad, she wrote finely crafted foreign-set stories that presage Edith Wharton’s work of the next generation. In this rich biography, Rioux reveals an exceptionally gifted and committed artist who pursued and received serious recognition despite the difficulties faced by female authors of her day. Throughout, Rioux goes deep into Woolson’s character, her fight against depression, her sources for writing, and her intimate friendships, including with Henry James, painting an engrossing portrait of a woman and writer who deserves to be more widely known today. “[It’s] galling that most who remember [Woolson] today do so in connection with Henry James, who occupied murky territory somewhere between frenemy and soulmate. It’s the James legacy that Anne Boyd Rioux wrestles with most in her excellent biography. . . . [Her] complex account leaves readers with an impression of Woolson’s yearning ambition and uncertain triumph.” — Chicago Tribune, "Best Books of 2016"